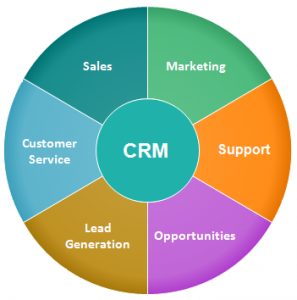 CRM (Customer Relationship Management) is a recognised model for managing a company’s interaction with current and future customers, using technology to organise, plan and automate sales and marketing, customer service and technical support activities within a business. CRM is a company-wide business strategy designed to reduce costs and increase profitability by solidifying customer satisfaction and loyalty. True CRM serves as the hub for information from all data sources within an organisation and, in some cases, from outside an organisation to give one, complete view of each customer in real-time. This allows your sales, support and marketing teams to make quick but informed decisions, with access to all the information they need, allowing for everything from cross-selling and up-selling opportunities to target marketing strategies. Investing in software can often be costly and time consuming, yet not investing can be a detriment. CRM software aims to take responsibility for identifying goals, objectives and provide your entire business with the data it needs to work efficiently and profitably.